What Are the Benefits of Using B2B Social Media? 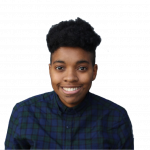 For a long time, social media marketing was reserved for B2C companies to create friendly personas for their brands to humor customers and was deemed too impersonal for B2B companies with no real added benefits. Each day, more and more B2B companies incorporate social media into their overall inbound marketing strategy. The problem, though, is many do so without knowing why they’re doing it, or what they hope to achieve. When you blindly jump onto the social media bandwagon, it’s virtually impossible to achieve great results, because you are not thinking about the strategy behind your efforts. The truth is, there are a number of benefits for B2B companies using social media marketing, but you won’t see those benefits if you treat social media as a distraction. In this blog post, we’re going to look at the benefits of using social media, even if you’re a small company with limited budget and resources. All B2B companies can utilize social media to generate a positive ROI. 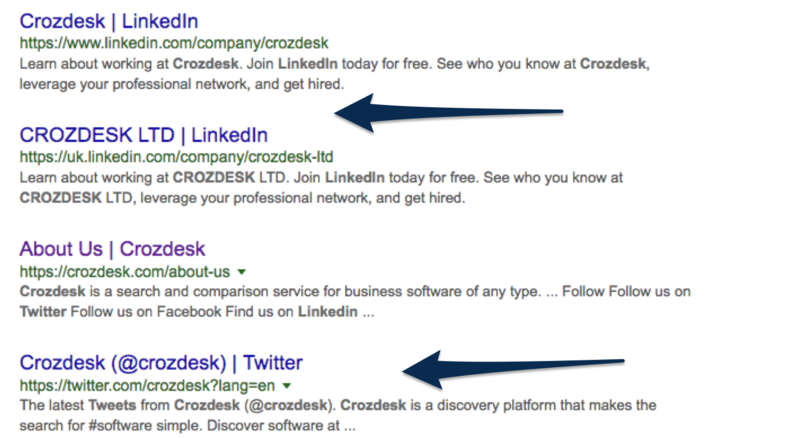 Choosing platform(s) is often the first place B2B social media marketers make mistakes. They mistakenly sign up to all social media platforms with no regard as to the benefits of each and what they hope to achieve from it. Keep in mind, depending on your strategy, you can get results from any social network. But, it’s more effective to make the most out of one social media platform than to make a little out of all them. But, If you are struggling to choose a social network. It’s worth mentioning 80% of all B2B social media leads come from LinkedIn. It makes sense. Businesses that sell to other businesses should do well on a business orientated social network like LinkedIn. It’s not as simple as just choosing the right platform(s), though. That’s only half the battle. It all comes down to developing a detailed strategy and when you do so, the platform(s) you should use will be obvious. 80% of B2B marketers have a dedicated social media marketing strategy, but only 32% documented it. Documenting who your customers are, what information they’re looking for and where they hang out online enables you to refine and improve your strategy continually overtime. Your strategy should link your social media marketing efforts to your overall business goals. Plan to consistently share useful, valuable content through your social channels. When you manage to do this, you have a good chance of achieving some of the benefits mentioned in this post. With every form of marketing, you need a method to evaluate the revenue generated by the work you put in. At the end of the day, why would you go to so much effort to market your products if you’re not going to generate revenue from doing so? It doesn’t make sense. And when your social strategy is strong, you can actually reduce your overall marketing spend. So you’ll understand why it is shocking only 6% of B2B product marketers say they’re able to quantitatively prove the impact of social media on their business revenue. B2B social media marketing, when done right, has consistently proved to bring about a positive ROI. You just have to know how to monitor and measure it. Time-saving social media software, such as Tweetdeck, (which is free) improves the way you use and interact with social media. 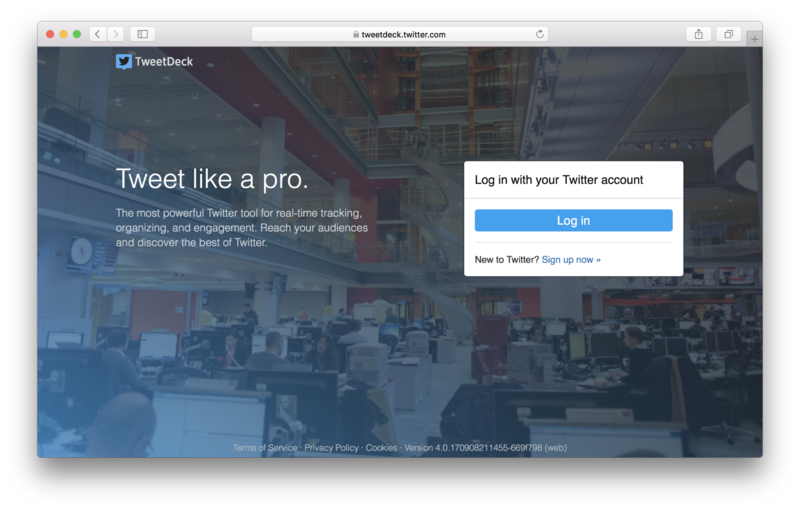 Tweetdeck is a dashboard application that allows users to manage their Twitter account. Content on Twitter moves quickly. A simple refresh of your Twitter homepage will show a whole new selection of Tweets. 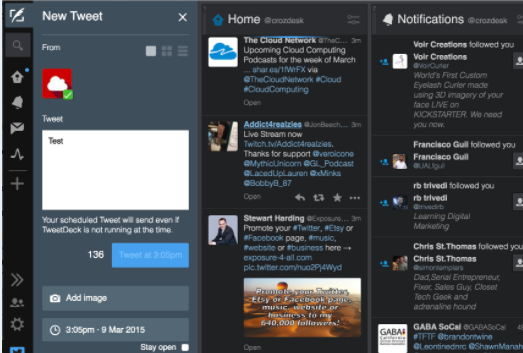 Tweetdeck provides users with an overview of what matters most to them on Twitter. Users can monitor and track conversations in real-time. Save searches to track uses of specific company names or hashtags. And 78% of marketers said after spending as little as 6 hours a week on social media, they saw an increase in traffic. When you think about it, that’s around an hour out of each business day. So, if you can find tools that reduce the time you spend on social media marketing and develop a strategy, you can lower your overall marketing spend. 54% of B2B marketers using social media for their business say they’ve generated leads from social media. Despite the volatile nature of decision makers, seeing a brand with an active social media presence is a good way for them to know you mean business. 84% of C-level or vice-presidents and 75% of B2B buyers said they use social media to make purchase decisions. There are opportunities out there, you just need to know how to access them. 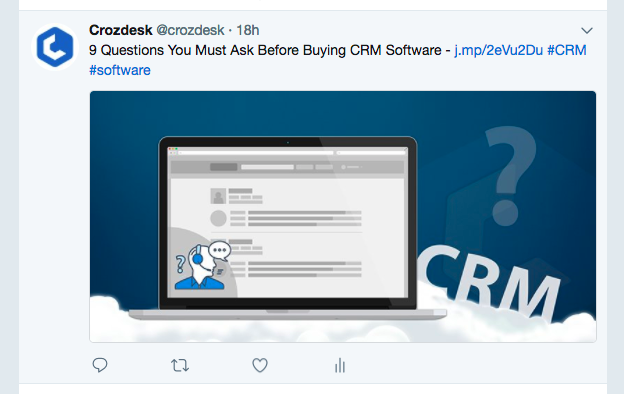 If you’re looking for a specific piece of software, other than conducting a google search, you might reach out to your network via social channels for recommendations. When your company is mentioned through social word-of-mouth marketing, it can have huge impacts on the number of leads you generate. In this example, the Twitter user was looking for complementing software for the existing software they already use. 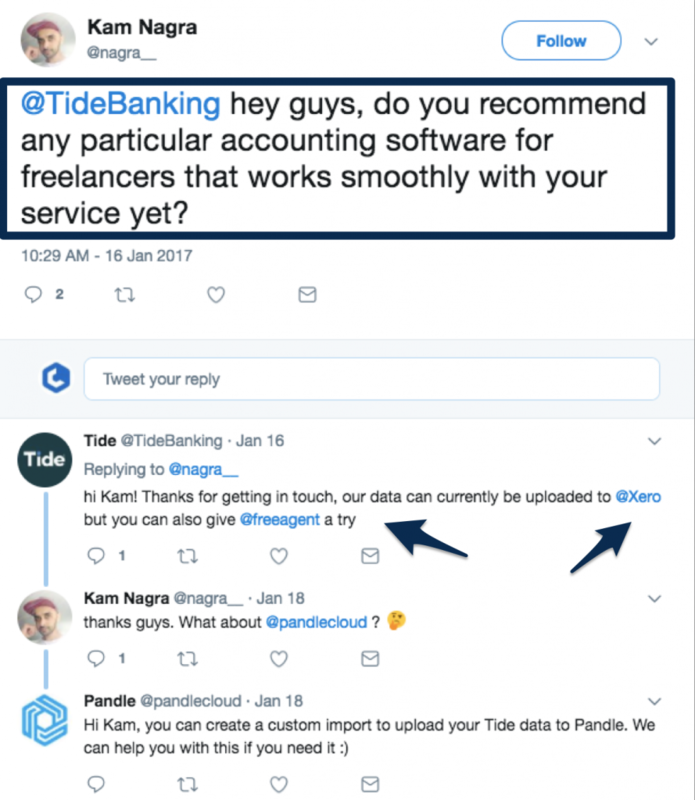 They reached out to Tide Banking directly via Twitter. A strong presence on social media means people are more likely to remember you and may even directly link to your social channels when making recommendations. Once you’ve built and developed your social presence and brand online credibility, you’ll have an army of loyal fans just waiting to wax lyrical about you. The more you’re exposed to something, the more familiar it becomes. This is true of social media. Social media usually fits into the awareness stage of the buyers funnel. Potential buyers are exposed to your content when they start to realize they have a problem that needs solving. It’s the time-old saying: don’t wait for your customers to come to you, find them where they are. And most of your customers are on social media. It gives you another platform to connect with your customers and share your story. Your followers might not need your services right away. But, 94% of business buyers do some sort of online research and when they do, they’ll know who you are and where to find you because they’re constantly exposed to your social content. 55% of B2B buyers say they search for information about products or vendors on social media. What will they do when you don’t appear on social media during their search? They’ll go with your competitors instead. In short, you want to always be floating around in their heads, so when they’re in need of your services, you are the first thing that comes to mind. The more relevant, valuable content you post on social media, the more likely you will amass a number of followers. Once you’ve collected these followers, you can start building a personal relationship with them. B2B buyers who believe they have a connection with a brand are 60% more likely to consider, purchase and even pay a premium for a product. It’s likely your customers will have questions about your product or service. Being active on social media gives you another conversation point to have with customers who might not want to email or call you. Let’s look at this example from Quickbooks. One of their customers experienced issues with their platform. 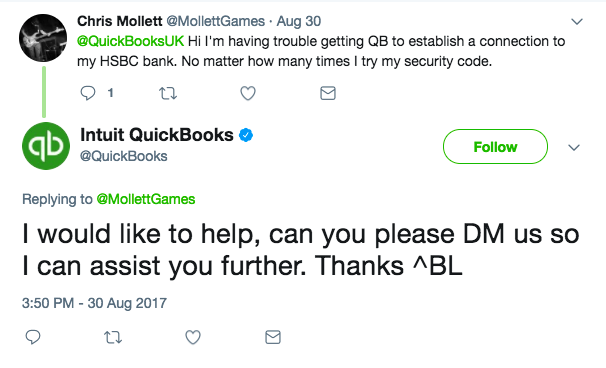 Quickbooks responded via social media to help the customer. Key point: In this situation, Quickbooks replied to the customer within the hour. If you want to make use of B2B social media for customer service, the normal rules of customer service apply in that customers want a reply quickly. In fact, most customers expect a faster response on social media than on any other channels. People appreciate when companies go out of their way to help customers get better at using their product. For example, After effects provide in depth explainer videos users might find interesting or helpful. For current customers of the subscription-based creative tool, the tutorials ensure users are always well equipped with the knowledge needed to get the most out of the tool. 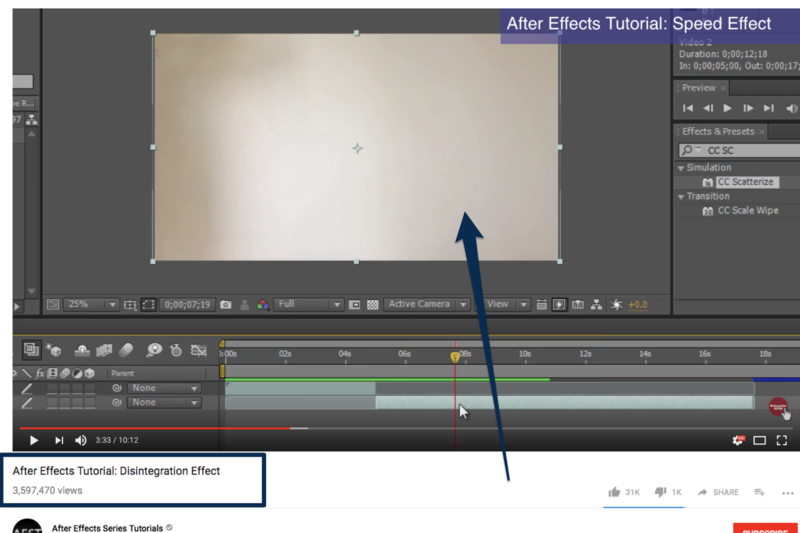 Because the users are consistently able to improve their After Effects skills based on the tutorial uploaded on Youtube, customers are more likely to continue using the digital visual effect software. This use of social media will have positive effects on customer retention. With all the noise on the internet, it’s crucial you find ways to engage and interact with your social followers and convert those followers into traffic on your website. Social media is another way to do this. 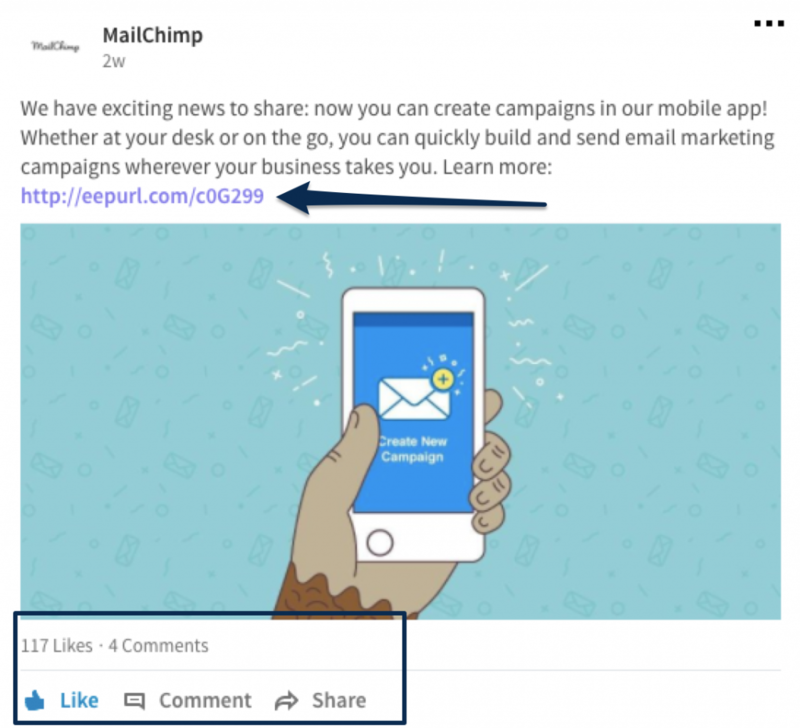 MailChimp uses social media to grow their traffic by feeding their content to their LinkedIn audience. Clever use of high-quality, creative images and simple teaser text encourages readers to click the “learn more” link which takes readers to MailChimp’s own website to read the rest of the content. Social media is just that, social. It gives you an opportunity to share your content and reach new audiences. But your social content isn’t just for attracting new traffic to your website, it can be used to build relationships with your current audience too, by giving you a voice of authority in your industry and positioning yourself as a thought leader. For B2B companies with complicated products or services, extra additional teaching might be needed. For example, we use social media to educate our audience and help them choose software to solve their business problems. Use your social channels to provide relevant, supporting content that will make it easier for your audience to solve their problems. When they experienced issues with their email servers, The Design Bank used social media to communicate with their clients who might be struggling to contact them via email. 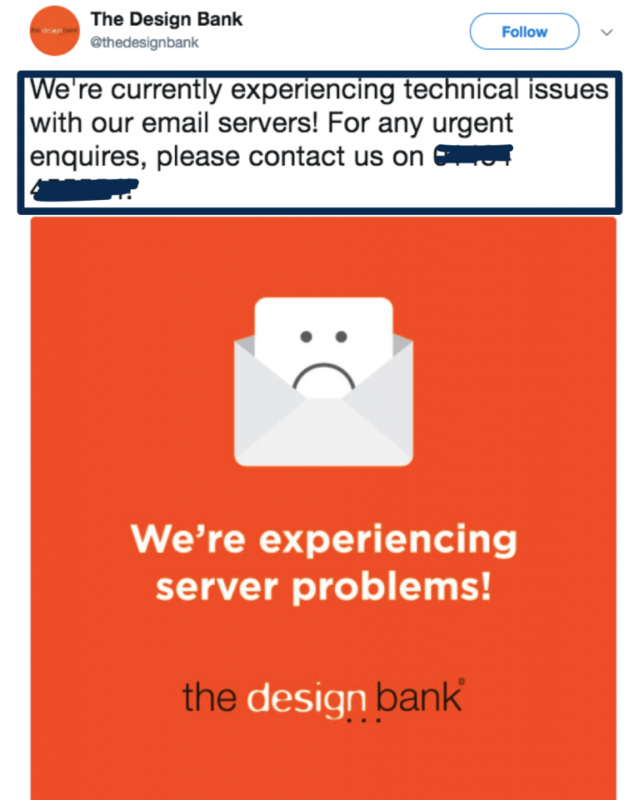 Followers will be pleased Design Bank addressed the problem, and provided another contact point for those who really need to get in touch. If you can, use social media to contain any frustration before it has a chance to get out of control. If you’re not yet exploiting the benefits social media can have on your B2B business, I hope this post has given you reason to consider it. If you’re already using social for your B2B business but didn’t realize the benefits, I hope this post has provided you with some insight. From using social media, around 50% of B2B marketers say they have seen an improvement in their marketing optimization, customer experience, and brand health. However, it is true not all benefits of social media marketing are easy to measure. Like brand awareness, or communication. But nearly a quarter of companies saw an increase in their revenue too. When you have a strong B2B social media marketing strategy, you’ll have a new avenue to share your content, increase your reach and influence customer retention. Although a majority of B2B companies use social media marketing, not many have a dedicated, documented plan for how they plan to win at B2B social media at scale, so if you want to win at social media, the time is now, and it’s yours to take. The formula is simple: keep your social media followers happy and they’ll tell the world about it. The formula is simple: keep your social media followers happy and they’ll tell the world about it. What benefits have you found from using social media for your B2B company? Leave a comment below.